Slovenian Environment Agency (ARSO) performs expert, analytical, regulatory and administrative tasks related to the environment at the national level. Our mission is to monitor, analyse and forecast natural phenomena and processes in the environment, and to reduce natural threats to people and property by ensuring high-quality environmental data for all target groups. ARSO is responsible for issuing warnings against hazardous natural phenomena and is, as a national meteorological and hydrologic service, closely associated with the Administration for Civil Protection and Disaster Relief in the national early warning system as well as with the forecasting services of the neighbouring countries. The operative Hydrological forecasting system (HFS) covering the entire country with hydrological and 1D hydrodynamic models was established at ARSO in 2011. 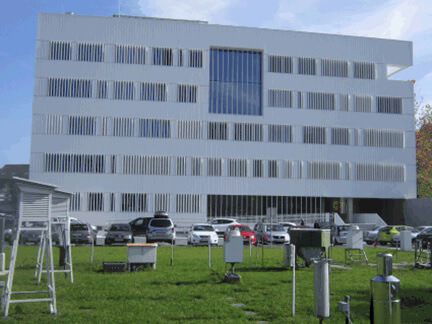 Since then the HFS is used for hydrological and flood forecasting purposes on a daily basis. Maintenance and upgrading of the HFS is being continuously performed by the hydrological experts at ARSO.